If a picture is worth a thousand words, what is a picture gallery worth on a website? For many site owners, it's priceless. Unlike using a hosted gallery service like Flickr, a customized picture gallery allows you to display pictures within your design, using your branding or theme. The trouble with creating your own gallery is managing the pictures, captions and navigation. For most site owners, the easiest way to manage photo galleries is to define them in XML. To create an XML driven photo gallery in a scripting language such as ASP.Net, ColdFusion or PHP, the XML document is used as a database. Most scripting languages have built in functions that translate XML data into reference-able data objects. Once the XML is parsed into its data form, you can use that data to display pictures and navigation. Similar to using a scripting language, the primary task of driving your animated photo gallery with XML is to turn the XML file into data that can be read by Flash or Silverlight. Using a Flash or Silverlight function (such as urlLoader in Flash), you would import the document into a variable that can be parsed into data (such as onXMLLoadComplete in Flash). The accessible data can now be accessed. By far, the easiest way to include an XML driven photo gallery or slideshow on your website would be to use a prebuilt Flash or Silverlight component. 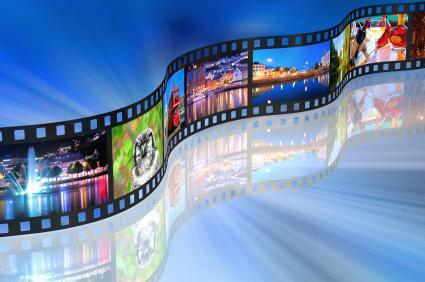 There are several popular components on the market, led by SlideShowPro and Flash Components.Net. Configuring these component is easy. Simply drop component in your document, specify the XML source, and modify the options such as captions, transitions, auto next, and other appearance settings. Within five minutes, your gallery is ready to display. With prebuilt components, you will need to ensure that your XML conforms to applicable standards. If you need to update your photo gallery, it's as simple as updating one document. With any plain text editor (like Notepad) or XML editor (like Dreamweaver), you can update the document to add, change or delete photos appearing in your gallery. Advanced users could even create XML documents from database output, thus eliminating the need for separate administration all together. The power of XML lies in its simplicity. It is a universal data format, capable of interfacing with all kinds of computer systems (including web servers and Flash applications) and outputting all kinds of data (including photo gallery data). Combining XML data with a little bit of programming or existing components creates the opportunity for website owners to have rich, easily managed photo galleries.